When you land a new prospect, lead, or inquiry, you may be excited about the opportunity. But, first you have to answer one important question. How likely is this person to actually become a customer? There are many questions that go into the ultimate purchase decision, and most of those are out of your control. So, how do you determine who is most likely to buy (who you should spend time selling to) and who is just window shopping but won’t actually buy? This is the reason that IBM created the BANT system. For their sales team, this was a simple way to qualify the leads who were most likely to buy and disqualify the ones who probably wouldn't. They used this framework to lead conversations with potential customers and then provide the proper feedback and follow-up based on their apparent position within the buying process. Money talks, right? It doesn’t matter if a prospect has all of the authority, an enormous need, or a concrete timeline--if they have no budget for your product or service, then they can’t become a customer. This doesn’t necessarily mean that the budget won’t come along later, but it means that this person is likely in the beginning stages of the buying process and not ready to make a purchase. Although these discussions can be difficult to have in the early stages, it’s usually best to qualify prospects on budget as soon as possible. If they have a set budget of $5,000 and your product costs $50,000, then you should find that out quickly. The second key to this system is confirming that the person you’re speaking with actually has the authority to buy or identify that person within the organization. Often times, lower-level employees or influencers will do the initial research and pass information back to key decision makers. This means it’s important not to discount someone from being a potential customer just because they don’t have the final say. But, most sales will need to involve that decision maker before the purchase it actually completed. You’ll want to make this determination early in order to structure conversations appropriately. Does the person or company have an actual need for the product or service that you’re selling? Or, maybe more importantly, have they identified that need internally? You may be able to point to a hundred companies that need what you’re selling (or at least could greatly benefit from it), but until they have identified that problem and are actually seeking a solution, it may be tough to get them interested in actually buying. Try to understand the frame of reference for each prospect and see how big of a need they have for your solution. There are many constraints that are put on the buying process that can mean the timeline for purchase is not imminent. It may be a matter of budgets, approvals, or comparison shopping. But you should seek to understand the customer’s place in the buying journey and their timeline to purchase. While this system for qualifying is still relevant in sales today, many people and businesses have introduced new ideas for how to qualify prospects in the digital age. 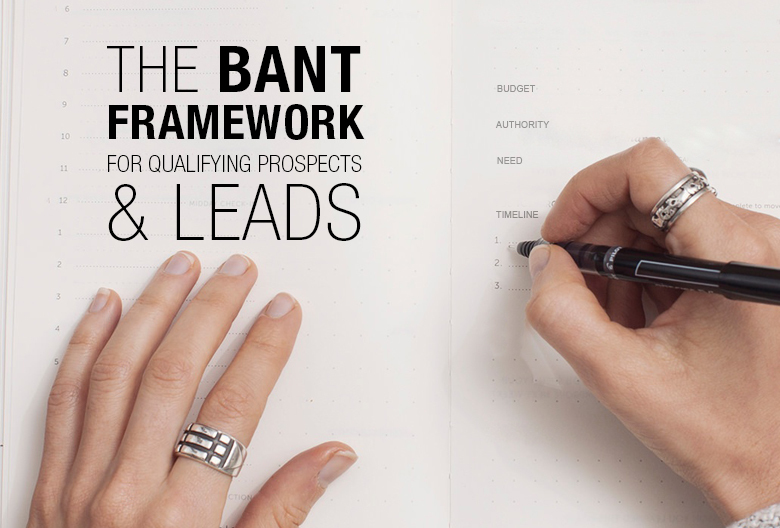 We’ll look at a few frameworks and how they differ from the traditional BANT system. But, the reality is that lead scoring is not always universal. Your business or customers may have additional characteristics that make them ready to buy that aren’t captured in other frameworks. So, it’s best to use all of these methodologies as examples or starting points and then adapting them to meet your specific needs. Hubspot’s general take on qualifying leads is that because of the nature of the internet and the inbound sales process, buyers have a different set of qualifications that apply to them. They've created a complex framework that works as a consultative sales system for qualifying prospects. First, figure out if the prospect is a good fit for your actual product or service. This is like expanding the “Needs” section into a number of separate points that indicate their type and level of need by breaking it down into separate components. Secondly, you qualify their actual ability to buy, looking at two important dimensions of the purchase decision. Budget - Do they have the money to buy what you’re selling? Authority - Do they have the power to say yes? Lastly, you round out the picture of this buyer’s current state by assessing how critical it is for them to find a solution. Is there a sense of urgency? That’s also scored in two main ways. Consequences - What happens if they don’t find a solution? Incentives - Do they have a strong positive push to make a decision? This system emphasizes asking a series of questions from each prospect, assessing each of these measures, and then scoring the lead accordingly. Jacco Van der Kooij wrote an article for Sales Hacker that explains an updated BANT framework for SaaS companies. Most of the core elements are essentially the same, but they have repositioned each of the pillars a bit to make them more applicable to modern business. These aspects are more qualitative and less quantitative in nature, but they capture more detail that is relevant in the sales process. As the full article points out, many companies no longer have a defined bucket of money (“budget”) that’s set aside for something like marketing automation software or email marketing software. Instead, it’s part of operations--it’s just a cost of doing business. And, there are changes in the way buying decisions are made. They’re sometimes by committee or recommendation from two or more departments. They’re also sometimes triggered by a single, specific event, rather than a long-drawn plan. This changes the framework and means that those who are selling must have a broader understanding of the buying decision in order to structure an effective sales process. There are, of course, more spins on the BANT framework to consider.